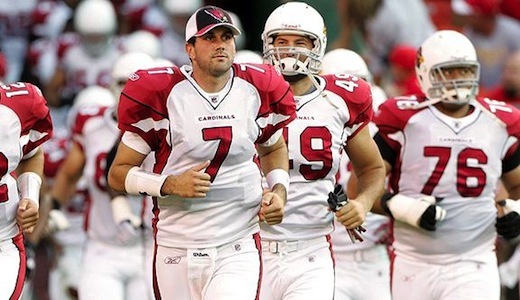 Can Matt Leinart lead the Arizona Cardinals back into the playoffs? The Arizona Cardinals have had one of the best offenses in the NFL over the last four years or so with future Hall of Fame quarterback Kurt Warner under center and arguably one of the best wide receivers in the game in Larry Fitzgerald. Even though the Arizona Cardinals were never been known as a good running team in the Kurt Warner era, it really didn’t matter as the five-time Pro Bowler was able to get this offense firing on all cylinders with the air attack and lead this team to two straight NFC West division titles (2008, 2009) and a Super Bowl appearance (2008). It was a good run for the Cardinals in the twilight of Warner’s career, but now they have to move on as the two-time NFL MVP has decided to finally hang up his cleats and call it career. Now the franchise will look to their former first-round pick (10th overall, 2006 NFL Draft) in quarterback Matt Leinart. Back in 2006, the Arizona Cardinals decided to use their 10th overall pick in the NFL Draft to pick up the former Heisman Trophy winner out of USC and when they selected Leinart, they selected what they thought would be the future face of the franchise, but after struggling early in his time as the starter, the Cardinals chose to bench Leinart in favor of Kurt Warner. Obviously, Warner had much better success as the Arizona Cardinals starting quarterback and Matt Leinart could only watch and learn from the sideline from one of the best quarterbacks of all-time. Fortunately for Leinart, the Arizona Cardinals decided to hold onto their former first-round pick and didn’t make a move in the offseason to find a veteran quarterback to take over for Kurt Warner despite rumors of possibly bringing in Donovan McNabb via trade. Even though most people are saying that the San Francisco 49ers will be the team to beat in the NFC West this season, the Arizona Cardinals is still a very talented team with a lot of promising young players to help this team continue on as one of the best teams in the NFC Conference. Whether or not Matt Leinart can fill the shoes of an NFL legend remains to be seen, but he will still have some solid offensive weapons at his disposal with perennial Pro bowl wide receiver Larry Fitzgerald and some up and coming wideouts like Steve Breaston and Early Doucet. Along with having a promising young receiving corps led by Larry Fitzgerald, the Cardinals offense will also have two Pro Bowl caliber running backs coming out of the backfield in Tim Hightower and Beanie Wells. Needless to say, if Leinart fails to come through this time around, it will all be on him as this team is set to make it back to the playoffs next season with some great offensive weapons. If Leinart does struggle early in the season, the Cardinals will be prepared with veteran quarterback Derek Anderson waiting to get his shot on the Arizona sideline. Even though Anderson is a viable backup, I believe the former USC standout will be able to lead this team back to the playoffs, but unfortunately if they do reach the postseason, it will probably be through the NFC Wildcard in my opinion. Are the Houston Texans playoff bound? Before last season, the Houston Texans had been nothing more than an easy win for their opponents as they were a team still trying to find their stride. Not only were their problems on the defensive side of the football the Texans, but the offense also struggled in all areas and seemingly had no hope for the future with only wide receiver Andre Johnson being a threat to opposing defenses. Fortunately, things started to turn around last year as the Texans offense became amongst the best in the league led by quarterback Matt Schaub who consistently connected with perennial Pro Bowler Andre Johnson. The running game still has some work to do as the Texans can’t seem to find a running back that plays with any kind of consistency out of the backfield, but Steve Slaton could potentially have a breakout season if opposing defenses concentrate on stopping the potent air attack. Last season the Houston Texans finally experienced some success as Matt Schaub became the league’s leader passer in terms of passing yards with 4,770. One of the main reasons for Schuab’s breakout year was Andre Johnson leading the league in receiving yards for the second straight season with 1,569 and the emergence of one of the best tight ends in the NFL in Owen Daniels. Even though Daniels went down with a season ending injury (torn ACL) against the Buffalo Bills in week 8, the up and coming tight end’s contribution to the team was huge to say the least as he became Schaub’s favorite target behind Andre Johnson and finished the season with 519 yards and five touchdowns. Despite missing half the season, Daniels made a big impression on the Texans offense and could be the missing piece to the puzzle in Houston turning the corner this season and making it into the playoffs for the first time in franchise history. With four straight wins to finish last season, the Houston Texans finally seem to come into their own as they were making a late push for the AFC Wildcard. Unfortunately, it was too little too late as the Houston Texans just missed the playoffs and the New York Jets and the Baltimore Ravens advanced to the postseason instead. Even though Matt Schaub and company missed out on the playoffs, they have seemed to build a nice foundation over the past couple of seasons and have gotten closer and closer to the ultimate goal of becoming a playoff team in the always competitive AFC Conference. They might still be a season or two away from making the playoffs for the first time in franchise history, but they definitely seem to have the right pieces of the puzzle in place to compete for in the conference from here on out, but it doesn’t help that they play in the AFC South division with the up and coming Tennessee Titans and arguably the best team in the league in Peyton Manning’s Indianapolis Colts. So even though the Houston Texans could be playoff bound in the next couple of years, I not sure they have what it takes to get to the postseason, but they could end up surprising people if their offense continues to light up the scoreboard. There have been a lot of great quarterbacks to come and go in the NFL over the years, but few can be compared to the likes of Indianapolis Colts Peyton Manning. 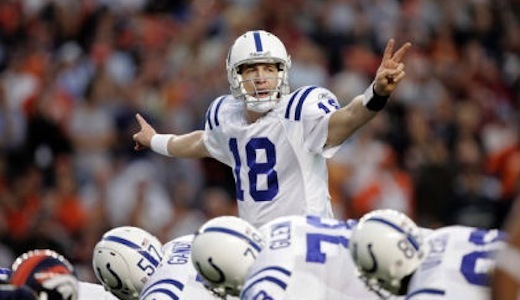 No matter what changes the Colts may go through or what new players they might bring in from season to season, Peyton Manning always seems to turn this Indianapolis NFL franchise into a perennial Super Bowl title contender as he has the ability single-handedly control the fate of this team and steer them in the right direction. With four NFL MVP awards to his credit and one Super Bowl title, Peyton Manning could retire tomorrow be considered one of the greatest quarterbacks ever play this game, but even though he’s not getting any younger, he is still arguably the best quarterback in the NFL today. With that being said, the Indianapolis Colts are ready to make their superstar quarterback the highest-paid player in the NFL as they will do anything to avoid Manning becoming a free agent in the near future. Ideally, the Indianapolis Colts would like to sign Peyton Manning to contract extension before the upcoming NFL season as they will make their quarterback confident in his future with the team and a very rich man. Unfortunately, Peyton Manning isn’t the only big-name quarterback that is due for a contract extension as Donovan McNabb (Washington Redskins), Drew Brees (New Orleans Saints) and Tom Brady (New England Patriots) are also on the verge of signing lucrative contract extensions with their current teams. With these three other prominent quarterbacks on the verge of signing a new deal with their teams, the Indianapolis Colts are stuck in somewhat of a dilemma as they want Manning to be the highest-paid player in the league, but might have to wait until McNabb, Brees and Brady sign their extensions to do so. As it is with any other position on an NFL team, big-name players set the bar at which a contract can be negotiated the only other big-name player at the quarterback position and has signed contract recently has been St. Louis Rams rookie Sam Bradford. The Oklahoma Sooners’ gunslinger and former Heisman trophy set a new rookie record for guaranteed money as he signed a contract worth $78 million dollars over six years with $50 million being guaranteed. At the moment Bradford’s contract has set the bar with Tom Brady, Drew Brees and Peyton Manning waiting to see how their franchises can top this contract given to a rookie quarterback that has yet to play a single down in the NFL. Even though no financial details have been given about a possible contract extension for Peyton Manning, the consensus is that it will be the biggest contract in NFL history in the range of $100+ with more than $50+ million guaranteed. Unlike Sam Bradford, who could easily turn out to be a draft bust like Ryan Leaf or JaMarcus Russell in the near future, Peyton Manning is worth every penny and will be a solid investment for the Indianapolis Colts. 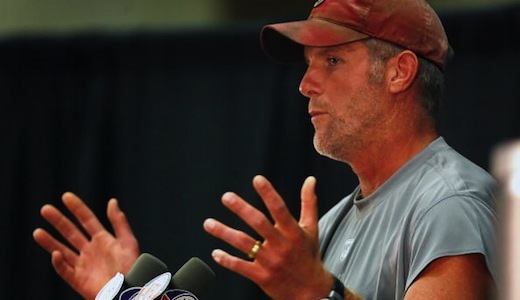 Are the Minnesota Vikings still a Super Bowl title contender without Brett Favre? Last season the Minnesota Vikings were arguably the best team in the NFC conference outside of the New Orleans Saints. The Vikings possessed the total package as they were a dominant team of both sides of the football with Brett Favre and Adrian Peterson running the offense and Jared Allen maintaining leads on defense. Needless to say, the Vikings were a force to be reckoned with in the NFC Conference once again as they had yet to meet their equal until the NFC championship game against Drew Brees and company. Even though the New Orleans Saints went on to the Super Bowl and won their first Super Bowl title in franchise history, it could be argued that the Minnesota Vikings were the better all around team and just lucked out in the NFC championship game. The Minnesota Vikings have a better offense, better defense and better all around quarterback in Brett Favre, but they had to watch the Super Bowl from home as a costly interception by the Silver Fox in overtime turned out to be the deciding factor in the NFC championship game. Despite being so close to the Super Bowl and Brett Favre not reaching his ultimate goal of winning one more ring before he finally hangs up the cleats, the Minnesota Vikings have great chances of a repeat performance next season if the 11-time Pro Bowler chooses to come back for more season under center. Even though this would seem like a no-brainer that the future Hall of Fame quarterback would come back for one more season with a Super Bowl title contender, the infamously indecisive quarterback has still yet to make his decision on whether or not he wants to lace up his cleats for one more go around. This is something that we should be used to by now as Favre has done this consistently over the past half decade or so, but after having arguably his best season of his career last year (4,202 yards, 33 TDs and seven interceptions) and being able to lead a team as talented as the Minnesota Vikings are right now, most people believed that his mind should already be made up. Unfortunately, it is not and the Minnesota Vikings might very well have to go on without their superstar quarterback as he could officially call it quits. 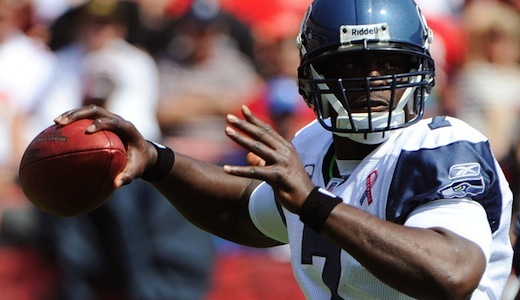 If three-time NFL MVP does decide to retire, the team will be handed over to backup quarterback Tavaris Jackson. There is no doubt that Tavaris Jackson is a talented quarterback with the skills to become a Pro Bowl caliber QB in this league, but he is no Brett Favre and with Jackson behind center, the Vikings will go from a Super Bowl title contender to just another team fighting for a playoff spot in the NFC Conference. The only thing that Jackson brings to the table that Favre doesn’t is speed and mobility. Tavaris Jackson is a quick QB that can make plays with his feet, but the very presence of Brett Favre keeps the opposing defense on its heels and completely opens up both the ground game and the passing game. So in my opinion, if the Silver Fox officially retires, so do the chances of the Minnesota Vikings competing for a Super Bowl title next season as having Jackson as the starter is taking a step back for arguably one of the best teams in the league. Ever since Barry Sanders, who is considered one the best running back in NFL history, decided to call it quits back in 1999, the Detroit Lions have been arguably the worst team in the league with little or no hope for the future. No matter what moves this team has made over the past decade or so, the Lions have continued to lose every single season and seem permanently stuck in last place in one of the most competitive divisions in the NFL in the NFC North. Competing with teams like the Chicago Bears, Minnesota Vikings and the Green Bay Packers within their division every single season, Detroit has had a rough ride throughout the years has found it really difficult to find any momentum moving forward. Fortunately, last season the Detroit Lions may have seen some light at the end of the tunnel as they drafted quarterback Matthew Stafford the number one overall pick in may have built a foundation on which they can improve upon with every passing season. Along with one of the most promising quarterbacks in the league, the Lions also have arguably one of the best young receivers in Calvin Johnson. There is no doubt that these two will combine for one most lethal dynamic duos in the NFL, but becoming a playoff team might still be a few years away as they also have to address other needs for their struggling NFL franchise. 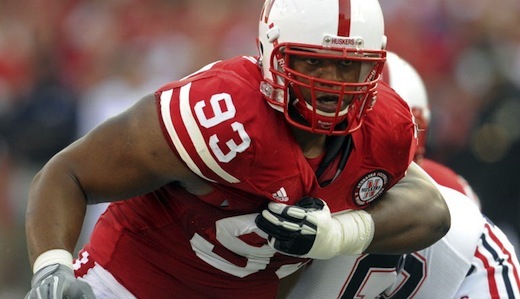 One of those needs was improving their defense and they got a huge addition to defensive side of the football recently in the 2010 NFL Draft recently when they drafted arguably the best defensive player in the draft in Nebraska’s defensive tackle Ndamukong Suh with the second overall pick. With the addition of Suh, the Detroit Lions will almost certainly be better on the defensive side of the football next season, but they still have a ways to go before they can be considered a force be reckoned with in the NFC Conference. Even though big-name college football players that get drafted early in the top ten of the draft demand a lot of money when negotiating their rookie contracts, the Lions had no problems coming to terms with their defensive tackle as they agreed to a five-year deal worth $68 million dollars with $40 million guaranteed. Now that the Detroit Lions have agreed to terms with their rookie, they can concentrate on next season and what they will need to do the other compete with the best the best in the NFC conference. Despite almost certainly missing the playoffs once again next season, I believe the Detroit Lions might surprise some people as they could quickly turn into one of the most potent offenses in the NFL with Stafford behind center and Johnson downfield. They still have to improve out of the backfield with their running game, but that should materialize over time when the air attack becomes amongst the best in the league. So even though Matthew Stafford and company will most likely finish in fourth place once again in the NFC North, they might give the kids the Chicago Bears a run for their money for third place and maybe even second place the Green Bay Packers struggle early in the season. Last season the Minnesota Vikings went from a team that struggles to make the playoffs every single season to a possible Super Bowl title contender over the next couple of seasons. There is no doubt that the Minnesota Vikings have always been a talented football team, especially on the offense of side of the football superstar running back Adrian Peterson coming out of the backfield and one always improving defense, but last year they finally got the missing piece the puzzle the franchise caliber quarterback in 11-time Pro Bowler Brett Favre. With Brett Favre under center, the Vikings’ offense was damn near unstoppable last season as the play action worked perfection and the presence of the three-time NFL MVP helped players like Percy Harvin and Sidney Rice turn into Pro Bowl caliber wide receivers. 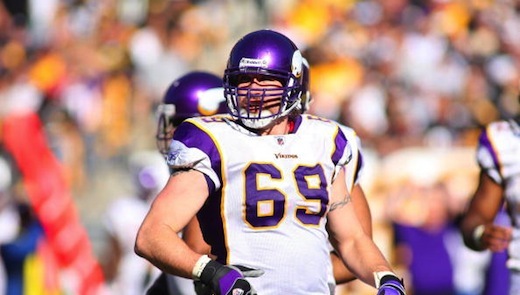 Not only was the offense firing on all cylinders with Favre, Peterson and Rice having career seasons, but the defense became arguably one of the best in the league led by Jared Allen. So with a potent offense and a lockdown defense, the Minnesota Vikings were able to make it into the playoffs and cruise to the NFC championship game to take on the eventual Super Bowl champion New Orleans Saints. Even though the Vikings had one hell of a season that could be considered one of the best in franchise history, the Saints were able to get the best of the Vikings in the NFC championship and beat them in overtime. Unfortunately, despite Brett Favre having arguably the best season of his Hall of Fame caliber career (33 touchdowns, 4,202 yards and seven interceptions), the Silver Fox seems to be on the verge of retiring from the game he loves for the third time. Recently, there were reports that Brett Favre had already made his decision and since his surgically repaired ankle wasn’t healing the way he anticipated his decision was retirement. The reason for people believing that the Vikings’ quarterback was calling it quits was that supposedly teammates were getting text messages from the 40 year old QB saying he was done, but all reports of these text messages have been proven wrong as Favre publicly said that he still hasn’t made his decision. Obviously, with his past history of waffling back and back about retirement that this news comes as no surprise, but you got to believe that the Minnesota Vikings are starting get a little bit frustrated with Brett Favre the same way the Green Bay Packers did a couple years ago. There is no doubt in anyone’s mind that having Brett Favre back under center makes the Minnesota Vikings a much better team, but the NFL regular season begins on September 9th (@ New Orleans Saints) for the Purple People Eaters and they still don’t know who will be their starting QB. The Florida Gators are one of the most storied college football programs in the nation as they always seem to be a force to be reckoned with in the SEC and have the ability to contend for a BCS title every single season. Last season the Gators came up just short as they lost to Nick Saban’s Alabama Crimson Tide and as a result were unable to reach the BCS championship. Not only were the Gators disappointed that they were able to reach the BCS championship, but they also had to say goodbye to arguably the best college football player of all-time in two-time BCS champion and Heisman trophy winning quarterback Tim Tebow. Over the last few years, Tim Tebow has been the face of the Florida Gators football program and college football for that matter. It is no secret that the Gators will miss their former Heisman trophy winner behind center, but it was time to move on and Tebow was set to make the jump to the NFL. Even though Tebow’s skills on the gridiron are undeniable as he is a multiple offensive threat on the football field with the ability to hurt opposing defenses with his feet and through the air, the former Gators quarterback wasn’t getting much attention throughout the league as many people questioned his ability to transcend his game in the NFL. Not only were most NFL franchises concerned about whether Tebow could play with the same efficiency as he did with the Florida Gators, but the main reason for NFL teams staying away from the college superstar was his awkward throwing motion and the possibility that he just couldn’t get the job done on the professional level. Well, despite the majority of the teams in the NFL being very critical of Tim Tebow and his ability to play at the next level, the Denver Broncos and head coach Josh McDaniels were willing to take a chance on the youngster by drafting him with the 25th pick in the first round of the NFL Draft. 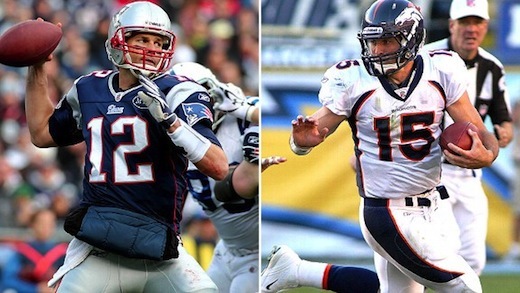 This was a surprise to say the least as the Denver Broncos were in no need of a quarterback after trading for Brady Quinn from the Cleveland Browns in the offseason and already having Kyle Orton as their starter behind center. The one position the Denver Broncos were thought to be targeting was at wide receiver after trading Pro Bowl wideout Brandon Marshall to the Miami Dolphins earlier in the offseason. The consensus was that they had their sights set on Oklahoma State’s Dez Bryant, but after the Dallas Cowboys selected Bryant with the 24th overall pick, the Broncos went with Tebow at 25th overall. Even though there was a some speculation that Tim Tebow might holdout for more money before training camp, the former Florida Gators superstar agreed to terms with the Denver Broncos for a five-year deal worth $11.5 million dollars in which $8.7 million is guaranteed money. Along with being guaranteed to make at least $8.7 million during his time with the Denver Broncos, Tebow could make up to as much as $33 million dollars. The San Diego Chargers have one of the most dynamic offenses in the NFL led by arguably one of the best quarterbacks in the league in perennial Pro Bowler Philip Rivers. 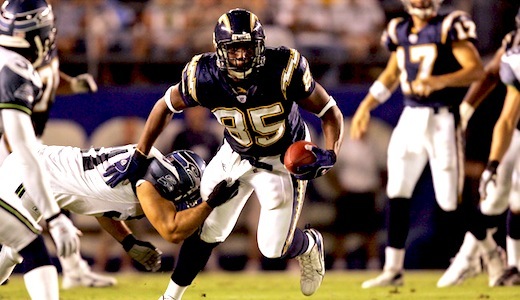 With Rivers behind center, the Chargers have progressively gotten better with every passing season and seem to improve their chances to contend for a Super Bowl title ever year, but the two-time Pro Bowl quarterback wouldn’t be as successful in his time in San Diego without tight end Antonio Gates at his disposal in the passing game. Over the past half decade or so, the San Diego Chargers have been LaDainian Tomlinson’s team as he was considered the best running back in the NFL and perhaps the biggest threat in the Chargers offense, but after he was recently released by San Diego (signed with the New York Jets shortly after), three-time All-Pro tight end Antonio Gates has become the number one option for Philip Rivers. Not only has Gates become a very valuable commodity for the Chargers after the departure of LT, but he was also on the verge of a lucrative contract extension that would most likely have him retire in a Chargers uniform. left in him, but even though that age is considered to be over the hill for running backs around the NFL, tight ends have been able to continue to put up big numbers well into their 30s. Reportedly, the six-time Pro Bowl tight end and the San Diego Chargers have agreed to terms on a five-year contract extension that will be worth about $36.175 million dollars. Along with making about $7+ million a season from now until 2015, arguably the league’s best tight end will have $20.4 million of this new deal guaranteed. Needless to say, this is a huge contract for a player that just turned 30 and the biggest contract ever given to a NFL tight end, but Antonio Gates is worth every penny as his numbers continue to be impressive with every passing season. 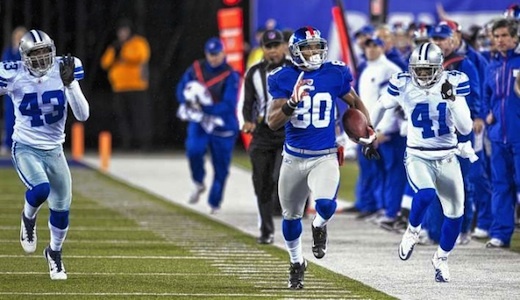 Last season Gates finished the year with 1,157 yards, eight touchdowns and 79 receptions. Even though the San Diego Chargers were the hottest team in the NFL heading into the playoffs last season with 11 straight wins, Antonio Gates and company lost to Rex Ryan’s New York Jets in their first postseason game and went home a little earlier than anticipated. Despite the disappointing end to last season with the loss to the Jets in the playoffs, the Chargers have a very good squad heading into the 2010-2011 season and have been labeled as a possible Super Bowl title contender once again. The one thing the Chargers will have to address next season will be the future of Pro Bowl wide receiver Vincent Jackson. After being arrested with his second DUI, the Chargers best wideout was suspended by the league for the first three games of the upcoming season which could cause San Diego to struggle to start the season once again. Despite losing to the New Orleans Saints in the Super Bowl last season, Peyton Manning and company are the top dogs in the NFL power rankings heading into next season and justifiably so as they will have relatively the same team intact and ready to contend for another title. Heading into the playoffs last season, the San Diego Chargers were arguably the hottest team in the league as they won 11 straight games to finish the regular season. Unfortunately, the Chargers failed to continue their success in the postseason as they were knocked out of contention by the New York Jets, but this season could be San Diego’s year. This number three ranking for the Minnesota Vikings all depends on the return of Brett Favre as without the future Hall of Fame quarterback, the NFC Conference heavyweights will almost certainly drop much lower on this list and quite possibly out of the top ten. If Favre comes back, and he most likely will, the Vikings will be legitimate Super Bowl title contenders once again and favorites to come out of the NFC Conference. The one team in the NFL that has everything going for them next season is America’s Team. The Cowboys still have some offensive line issues that could turn out to be a big problem, but as of right now, Tony Romo and company will come into the season with high hopes of doing something that no other team has ever done in playing in a Super Bowl on their home field. The defending Super Bowl champions were the team to beat last season came out with their first Super Bowl title in franchise history, but this time around they are ranked fifth on NFL power rankings list heading into the season and will have to prove to the league once again that they are a serious force to be reckoned with in the NFC Conference once again. Look for another big season from Drew Brees and maybe a breakout season for Reggie Bush! The Packers go as Aaron Rodgers does, so if the new Green Bay gunslinger has another great year, the Cheese Heads will follow! The Kevin Kolb era in Philly begins! handle, especially in Philly, but I believe he is up to the task. Much like the Eagles, the Cardinals no longer have a perennial Pro Bowl quarterback (Kurt Warner) and their future success if very much up in the air with an unproven quarterback behind center. The future of the franchise is now in the hands of former USC Heisman trophy winning quarterback Matt Leinart. Even though the Leinart could fall flat on his face next season, backup quarterback Derek Anderson will be waiting on the sidelines for his chance. I think the Cards are ranked a bit too high on his list without Kurt Warner coming back, but they could surprise some teams next season. Last year the Bengals had somewhat of a breakout year as they finally got their Pro Bowl quarterback back behind center who led them to AFC North division, established one of the best running games in the league with running back Cedric Benson and became a dominant team on the defense. Next season Cincinnati will have the same team relatively intact, possibly with Terrell Owens playing alongside Chad Ochocinco, and a great chance of heading into the playoffs once again. 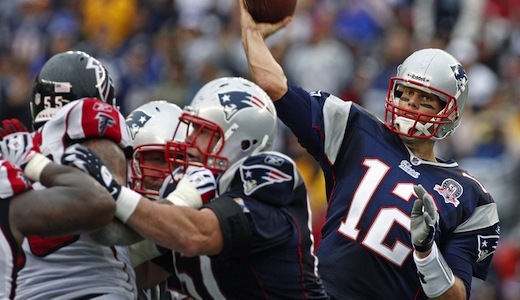 The New England Patriots could quite possibly be on the verge of no longer being a force to be reckoned with in the AFC Conference, but they might have one more promising season with a shot at contending for another Super Bowl title. Tom Brady is working on a contract extension which could have him making more than any other player in the league, but next season will be a big indicator on whether or not he is over the hill or able to lead this team in another championship run for a ring. Coming into last season, the New York Jets had just gone through a rebuilding process that saw the struggling storied NFL franchise bring in a new head coach, new starting quarterback and entirely new game plan with a focus on the defensive side of the football. With new head coach Rex Ryan at the helm in New York, the Jets took on an entirely different approach as they concentrated on defense first and offense second. This was the exact same game plan that the famously outspoken head coach had implemented in Baltimore and had great success with over the years. Even though many people didn’t expect instant success for the New York Jets last season with a rookie quarterback (Mark Sanchez) and a new head coach, that is exactly what they got as they were able to get the playoffs and all the way to the AFC Championship game. Unfortunately, they were unable to get the best of the Indianapolis Colts and advance to the Super Bowl, but they definitely have high hopes for the future and will have arguably the best defense heading into next season. Over the past decade or so, the Baltimore Ravens have been known as having one of the best defenses in the NFL, but last season the defense started to take a back seat to a promising young offense led by quarterback Joe Flacco and running back Ray Rice. Even though the Baltimore offense is starting to make more headlines and somewhat overshadow the lockdown defense of the Ravens, Ray Lewis and company are still playing at a high level and actually supporting their new found potent offense by maintaining leads. It is no secret that the leaders on defense aren’t getting any younger as both linebacker Ray Lewis and safety Ed Reed have considered retirement over the past couple of seasons, but they should be back for at least one more season as the Baltimore Ravens have a legitimate shot at contending for a Super Bowl title next season. Last season the Minnesota Vikings went from just another good team in the NFL to a great team as they brought in future Hall of Fame quarterback Brett Favre and key defensive players in order to make this team a legitimate title contender in the very competitive NFC Conference. Even though there was a lot of doubt surrounding this Vikings team led by a 19-year veteran quarterback, the defense was as solid as ever as Jared Allen and company quickly went from a good defensive side to arguably one of the best in the league. Next season the Minnesota Vikings will hope to have Brett Favre back behind center for at least one more season, but the one part of their game that they aren’t worried about is their defense which could finish the season as the league’s best.